Decentralization is sweeping the world and having dramatic and far-reaching impacts on resource management and livelihoods, particularly in forestry. This book is the most up-to-date examination of the themes, experiences and lessons learned from decentralization worldwide. 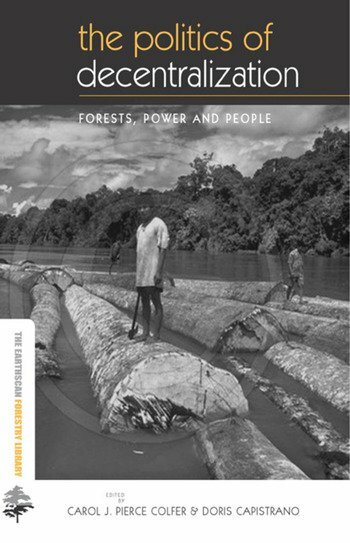 Drawing on research and support from all of the major international forestry and conservation organizations, the book provides a balanced account that covers the impact of decentralization on resource management worldwide, and provides comparative global insights with wide implications for policy, management, conservation and resource use and planning. Topics covered include forest governance in federal systems, democratic decentralization of forests and natural resources, paths and pitfalls in decentralization and biodiversity conservation in decentralized forests. The book provides in-depth case studies of decentralization from Bolivia, Ghana, Indonesia, Russia, Scotland, Switzerland, Uganda and the US, as well as highlights from federal countries including Australia, Brazil, Canada, India and Malaysia. It also addresses the critical links between the state, forests, communities and power relations in a range of regions and circumstances, and provides case examples of how decentralization has been viewed and experienced by communities in Guatemala, Philippines and Zimbabwe. The Politics of Decentralization is state-of-the-art coverage of decentralization and is essential for practitioners, academics and policy-makers across forestry and the full spectrum of natural resource management. Carol J. Pierce Colfer is a Principal Scientist at the Center for International Forestry Research (CIFOR). Doris Capistrano is a Program Director and resource economist at CIFOR.